This is the church taken from the graveyard by Solomon's Island Rd. 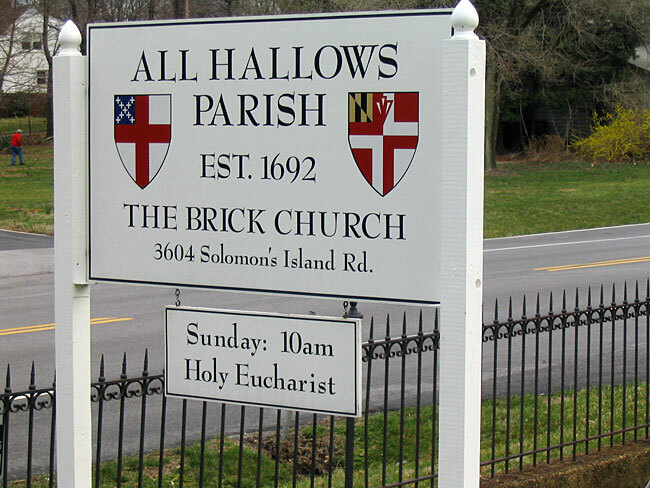 This is located on Solomon's Island Rd. near the sign for the church.